The Forest School Qualifications landscape has changed dramatically in the last few years and particularly in the past year. A number of opportunities for, and threats to, our sector have arisen as a result. The FSA has been both responsive to these changes and also, where possible, tried to help steer the outcomes. It is important that FSA members understand the implications of these changes not just to them personally, but to the FSA as the Professional Body for Forest School in the UK, and to the Forest School movement as a whole. The type of Forest School qualification that you were awarded is only one element that will influence your Forest School practice. The way in which the course was delivered and the quality of the training, alongside your ability to practice the skills that you learnt, also contribute. Although the first Forest School qualification was offered by Bridgwater College in 1995 (as a BTEC), the more common Level 3 Forest School qualification was awarded through the National Open Collage Network. It was developed in early 2000s with involvement of the Forestry Commission and Trainers in Wales and England. Originally worth 21 credits, this was reduced to 18 credits in 2006. From 2010/2011 the Open College Network started to break up and individual Awarding Organisations (AOs) in the network became recognised by Ofqual. 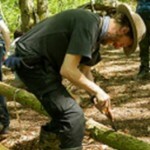 This meant that each AO could develop and offer its own Forest School qualifications. In this context, and following the formation of the FSA in 2012, the FSA worked with the GB Forest School Trainers Network (GBFSTN) and Open College Network West Midlands (OCNWM) to place the FSA endorsed Forest School qualifications onto the Qualifications and Credit Framework (QCF). This happened in 2013 and included the common 18 credit Level 3 Forest School qualification. The purpose here was to create some additional barriers to entry for under qualified trainers (from the perspective of the FSA as the Professional Body). Seven Awarding Organisations did seek and obtain FSA endorsement. This represented the majority of Awarding Organisations offering Forest School qualifications in the UK. Crucially, at least two Awarding Organisations, with large Forest School Training companies as clients, did not seek FSA endorsement. Unfortunately, the FSA could not prevent qualifications from being cloned without the additional guidance notes being applied. Although this meant that some under qualified Trainers were able to operate it did also mean that, at least, the vast majority of trainers were using the same Forest School qualifications. In 2015 Agored Cymru, an Awarding Organisation in Wales, developed a new 14 credit L3 Forest School qualification with assistance from The Outdoors Learning Training Network in Wales and, what is now, Natural Resources Wales. This was placed on the QCF. Unfortunately, the FSA only became aware of this credit difference (14 instead of 18 credits) and content differences when we piloted the Forest School Trainers Quality Assurance scheme in spring / summer 2017. Ofqual, the qualifications regulator, has now replaced the QCF with a new single framework called the Regulated Qualifications Framework (RQF). All qualifications must sit within the RQF by February 2018. As the original Forest School qualifications were due for their 5 yearly reviews the GBFSTN and FSA took the opportunity to undertake a full review of the FSA endorsed Forest School qualifications before they were placed on to the RQF. This was completed in November 2017. Due to the overlap between the QCF and RQF (2017/2018) the original level 3 Forest School qualification was also placed on the RQF. Unfortunately, partly due to the limited amount of time available and the apparent greater complexity of cloning qualifications on the RQF, some Awarding Organisations are considering placing the original Forest School qualifications on to the RQF and not using the revised versions. This would create a situation whereby there are two different FSA endorsed Forest School Level 3 qualifications on the RQF with the possibility of others being added. In October of 2017 the FSA became aware that L3 Forest School qualifications were being offered through purely on-line teaching. Informal conversations with four different Awarding Organisations confirmed that, from a business perspective, Awarding Organisations viewed this development very favourably because it meant that greater numbers of customers could register for courses. However, they acknowledged that this may not be strictly desirable from a ‘practice’ perspective and indicated that they would be willing to take the lead from the FSA, as the Professional Body for Forest School in the UK. The FSA board were concerned about the implications of this development for quality Forest School provision; and particularly in the context of the FSA’s ability to recognise L3 qualifications that have been awarded following purely on-line training. The FSA membership was invited to complete a short survey to determine their views about this issue. The results of this survey (attracting 381 responses to date) have been overwhelming. 97% of respondents are opposed to the idea of purely on-line training; both in terms of the FSA’s ability to recognise these qualifications and the employability of people who have been awarded them. The increase in the number of Forest School qualifications being offered by different Awarding Organisations, and their different approaches to delivery, make it more difficult for people to identify those qualifications that will best prepare holders for their future Forest School practice. For example, while it is clear that a 14 credit course has less academic weight than an 18 credit course, a potential employer is not likely to identify this difference. Similarly, it is almost impossible to differentiate between the same qualifications delivered in different ways. Here we do not simply mean different styles of teaching, which could be very desirable in a Forest School context. We mean ways of teaching that do not model the Forest School ethos. How much weight should be given to any given aspect of a course will doubtless be hotly debated. For instance, a 14 credit course taught well could certainly be better than an 18 credit course that is taught badly. This variety of qualifications and variability in quality of delivery means that comparison between qualifications is very difficult. While ‘word of mouth’ recommendations and reputations are very powerful, other factors will also influence the Forest School training market such as cost and duration/ease of study. The risk is that some trainers will employ business models that focus on these areas. This will, ultimately affect the skill base and understanding of new Forest School practitioners. Variable quality in Forest School practice risks devaluing the specialist knowledge of Forest School practitioners and the Forest School movement as a whole. 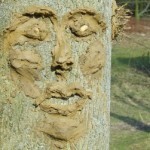 The FSA promotes ‘Quality Forest School’. To achieve this we must differentiate on the basis of quality so that it may be identified and promoted. We already do this for Forest School provision through the FSA Recognised Forest School Provider Scheme and for Forest School training through the Forest School Trainers Quality Assurance Scheme. Both of these schemes depend on there being reasonably standard Forest School qualifications underpinning them. Greater variability in Forest School qualifications will make it more difficult for the FSA to accept that all level 3 qualifications are broadly equivalent. At present our members have a well-recognised qualification that is highly portable. The risk is that their Forest School qualification becomes devalued. The FSA has a role in protecting the interests of its members in this regard. 1. All Level 3 Forest School qualifications awarded before the dates set below will be accepted for the ‘FSA Recognised Forest School Provider’ scheme. 2. Concerning Level 3 Forest School qualifications awarded AFTER 1st December 2018: Only the current FSA endorsed Level 3 Forest School qualification (QCF – 'Certificate in Forest School Programme Leadership’) and revised FSA endorsed Level 3 Forest School qualification (RQF – ‘Certificate for Forest School Leaders') will be accepted for the ‘FSA Recognised Forest School Provider’ scheme. This gives time for people who are currently taking different courses to complete them and, subsequently, have them accepted by the FSA as part of the ‘FSA Recognised Forest School Provider’ scheme. 3. Concerning Level 3 Forest School qualifications awarded AFTER 1st September 2019: Only the revised FSA endorsed Level 3 Forest School qualification (RQF – ‘Certificate for Forest School Leaders') will be accepted for the ‘FSA Recognised Forest School Provider’ scheme. This gives Awarding Organisations, that are using the current FSA endorsed Level 3 Forest School qualification (QCF), time to switch over to the revised FSA endorsed Level 3 Forest School qualification (RQF) and their students time to complete the old course. The sooner the Awarding Organisations switch over the more time their students will have to complete their training and still meet the 1st September 2019 deadline. 4. With immediate effect, L3 Forest School courses must have a minimum of 60% of their guided learning hours delivered face to face to be accepted for the ‘FSA Recognised Forest School Provider’ scheme. This brings this scheme into line with the ‘Forest School Trainers Quality Assurance’ scheme, which already has this criterion for FSA Endorsed Forest School Trainers. Where the revised FSA endorsed Level 3 Forest School qualification (RQF) is being used, 80% of the guided learning hours must be delivered face to face. 5. The FSA will work closely with Awarding Organisations that offer Forest School qualifications to ensure that they are aware of these changes and to ensure that all centres, trainers and trainees understand why these are coming into effect. The FSA will establish an ‘Awarding Organisations’ Forum’ to help coordinate and standardise the development of Forest School qualifications in the future. So will the Bridgewater BTEC become ‘unrecognised by the FSA’ after 2018? We are communicating with Bridgewater. Thank you Well thought out strategy I think.